The 2018 Screen Actors Guild Awards nominations are out, and the frontrunners will be familiar to anyone who’s watched premium cable, independent films, or just looked over the Golden Globes nominees this year. 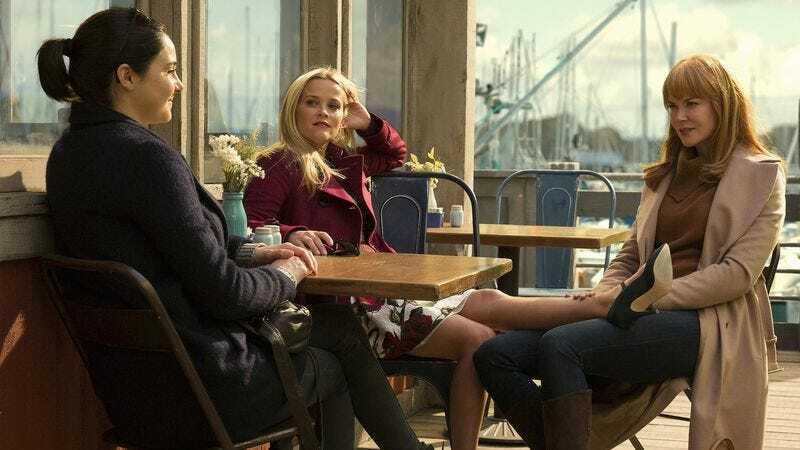 Big Little Lies and Three Billboards In Ebbing, Missouri lead their respective packs, with the HBO drama nabbing four acting nominations, including three in the outstanding actress in a drama category. Meanwhile, Martin McDonagh’s tale of grief and redemption picked up three nominations, including outstanding cast in a motion picture. Fans of The Big Sick who were disappointed by its Golden Globes snubs will feel somewhat vindicated, as Kumail Nanjiani and Emily V. Gordon’s real-life love story turned romantic comedy picked up two acting nods—for outstanding cast in a motion picture, and a separate nomination for Holly Hunter in the outstanding supporting actress category. Daniel Kaluuya’s nominated for outstanding lead actor for Get Out, where he’ll compete with Call Me By Your Name’s Timothée Chalamet, The Disaster Artist himself James Franco, Gary Oldman’s impression of Winston Churchill, and Denzel Washington’s lead performance in Roman J. Israel, Esq. The lead actress in film race includes Three Billboards’ Frances McDormand, Margot Robbie for I, Tonya, Saoirse Ronan in Lady Bird, Sally Hawkins in The Shape Of Water, and and Victoria & Abdul’s fJudi Dench. Mary J. Blige, who had a quietly stunning role in this year’s Mudbound, picked up a supporting actress nomination, while the film’s cast, including Jason Mitchell and Rob Morgan, are nominated for outstanding ensemble. Elsewhere in TV, Black-ish and Curb Your Enthusiasm will compete with GLOW, Orange Is The New Black, and Veep for top comedy cast honors, while the outstanding cast in a drama category will see the ensembles of The Crown, Game Of Thrones, The Handmaid’s Tale, Stranger Things, and This Is Us vie against each other for the award. The complete list of nominees is below; the 2018 SAG Awards will be held on January 21, 2018.